Vancouver Symphony Orchestra, Bramwell Tovey and Friends, Orpheum, May 31, 2018. 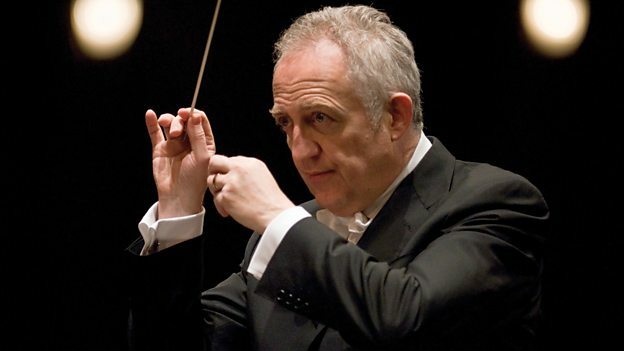 Eighteen years is a very long tenure for any music director, and Bramwell Tovey leaves the VSO as the longest serving maestro in the orchestra’s history. He will retain the ‘Music Director Emeritus’ title. Perhaps one does not want to mark his leaving with too much nostalgia, but one registers that the maestro originally came on board in 2000 when the orchestra was in rather bleak financial circumstances. It was the great synergy of his efforts with those of President Jeff Alexander, Vice-President Alan Gove, concertmasters Mark Fewer and Dale Barltrop, and many others that built an inspired, visible organization with a uniquely-appealing product. The organization survived the 2008 financial crisis with strength and in fact achieved record ticket sales a year or two ago – no mean accomplishment. Beyond acute planning and marketing, a dominating ingredient in this success has been Tovey’s reach and presence within the community, extending beyond the engagement and charisma of his concerts to the inspired formation of the VSO School of Music in 2011, the Whistler Institute more recently, and to local and international arts concerns, where he has always fought for equity, voice and the preservation of heritage. Some farewell celebrations gravitate towards a more austere melancholy, where the departing maestro remains slightly in the background, basking in the praise and remembrances of others. But this would be contrary to the Tovey ‘brand’: this celebration was largely emceed by the maestro himself (a few introductory words from Christopher Gaze notwithstanding), allowing him to spin all his much-loved anecdotes and chestnuts to the delight of the audience, highlighted by performances by members of his closest musical family, including his two daughters. Much of the evening’s music was kept light and frothy, and featured the most popular of the ‘most popular’ classical pieces. After Tovey’s effervescent Polonaise from Tchaikovsky’s Eugene Onegin to begin, soprano Tracy Dahl and the indefatigable mezzo Judith Forst kept everyone beguiled with vividly acted and sung arias from Bizet, Offenbach, Strauss and Bernstein – full of play and coquetterie. Tenor David Pomeroy, anticipating his upcoming appearance in Britten’s Peter Grimes, added ‘Nessun Dorma’ in the first half and, at the end, the touching and philosophical closing aria ‘O Freund, ich werde sie nicht weidersehn’ from Korngold’s Die Tote Stadt. The concert also payed homage to two VSO Associate/Assistant Conductors from the past: Tania Miller – who just completed her long tenure as Music Director of the Victoria Symphony last year – and Gordon Gerrard – just finishing his first season with the Regina Symphony. They provided some of the best conducting of the night. Miller was both energetic and scrupulous in detail in the ‘Danse Bacchanelle’ from Saint-Saens Samson and Delilah, while Gerrard found colour, zeal and fine dramatic shape in Bernstein’s Candide Overture. One defining feature of Tovey’s tenure has been his strong interest in ‘New Music’, both as a composer and conductor, and his close associations with the VSO’s Composers-In-Residence. These have included Rodney Sharman, Jeffrey Ryan, Scott Good, Edward Top, and most recently Jocelyn Morlock. It is a fitting tribute to this history that Morlock won the 2018 Juno Award for ‘Best Classical Composition’ while Sharman was honoured here with Walter Carsen Prize for Excellence in the Performing Arts. Sharman’s deep-speaking ‘Love’ was performed by the Chrysalis Vocal Ensemble under Graeme Langager, introducing more sensitive shadings to the occasion. Later, Langager took his singers through an equally affecting rendering of Katie Moran Bart's ‘Blessing’, dedicated to the maestro. A Gershwin-Bernstein focus dominated the second half. Jon Kimura Parker flew in to perform the opening movement of the Gershwin Piano Concerto, a reading notable for its Rachmaninoff-like weight. Dahl and Forst combined for ‘We are Women’ from Bernstein’s Candide while the Chrysalis Ensemble joined with the soloists for a heartfelt rendering of the work’s finale, ‘Make our garden grow’. Expectedly, we also had a taste of Tovey’s inimitable jazz piano combining with the ‘jazzy’ violin of Mark Fewer, and tender and sensitive contributions from his two daughters: Jessica played the violin solo in the famous ‘Meditation’ from Massenet’s Thais while Emmaline recited and sung a Vaughan Williams’ song with evident commitment. A special composition by the orchestra’s Associate Principal Trumpet, Marcus Goddard. was dedicated to the maestro – a present from the orchestra – and set the seal on what turned out to be a very full evening. There are two concerts to go for the maestro to complete his final sojourn: Britten’s Peter Grimes (June 9 and 11) and Mahler’s ‘Resurrection’ symphony (June 16-18). Then, hopefully both the conductor and devoted Vancouverites can have the summer to fully ponder what these eighteen years meant. Well actually, not so quickly – Tovey will conduct his new orchestra, the BBC Concert Orchestra, in a concert of family favorites on the following Saturday, June 24th at Redbridge Town Hall. The man does not stop!